Halloween is approaching soon. You're going to need something particularly scary for your players if you do any gaming near the holiday. Well, GKG has the answer. On September 7, we will be releasing Hell's Paradise. This adventure has been run by me for players at many conventions across the eastern United States and this new version of the scenario has been informed by the actions of those players. Hell's Paradise. Coming on September 7. Just in time for you to get it ready and spring it on your players for Halloween. 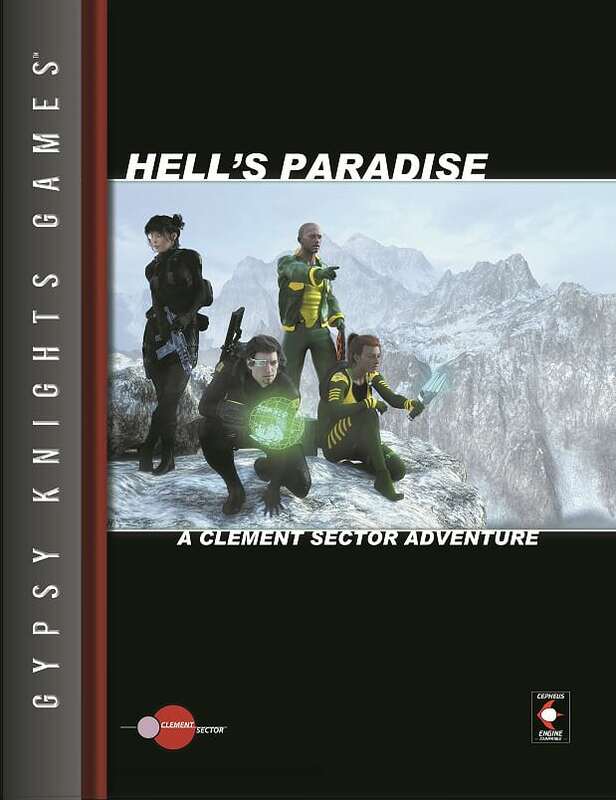 For those of you who bought the original Mongoose compatible version of GKG's Hell's Paradise adventure, please check your DTRPG account. You should have the new version in your library. Just wanted to let everyone know that the printers have informed me that the print proof of Hell's Paradise was sent out yesterday. Assuming all is well with this proof, Hell's Paradise (and, for that matter, Action Movie Physics) will be available in print form quite soon. Hey, why did the print on demand option disappear from DTRPG before I was ready to buy the adventure? An error was located on the back cover and we're in the process of correcting it. The print proof for the new version is en route and, as soon as I inspect it and (hopefully) find no errors, it will be on sale again. I'm hoping it will be back up and available by Friday the 18th. I can wait, no problem. Not only is it back up for sale, the PDF/book combo is on sale until Monday evening.